Play shouldn’t be reserved for students at your school. It can help kids and adults alike cultivate curiosity, think creatively, inspire teams and deliver results. 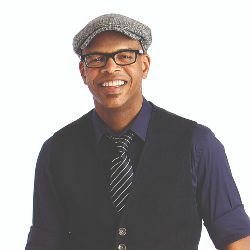 Raised by his grandparents in Philadelphia, Kevin Carroll started his career as a U.S. Air Force language translator, then was an athletic trainer for high school and college athletes before becoming the Philadelphia 76ers’ head athletic trainer. Nike hired him as a change agent, and now he consults with organizations to drive innovation. 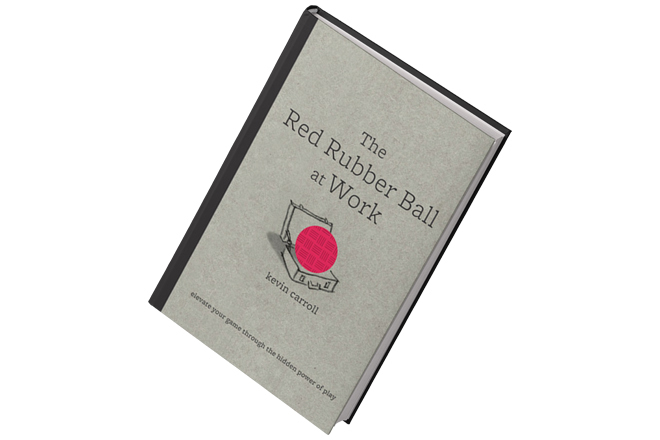 The following is excerpted with permission from Carroll’s 2009 book, “The Red Rubber Ball at Work: Elevate Your Game Through the Hidden Power of Play.” Carroll profiles the playful habits of a range of leaders, exploring how they inspire innovation, results, teamwork, leadership and curiosity in the workplace. Think back to your childhood and to the years dominated by playtime, when there were endless hours to fill and the only agenda was to be captivated in the moment, to have fun. Playtime was also productive time, even if as kids we did not realize it. Activities we called soccer, tap dancing, marbles, double-dutch, blocks and tag were also exercises in resourcefulness, planning, strategy, design, decision-making, creativity and risk taking. When: Wednesday, March 6, 7:30–10 a.m. In play we did not avoid obstacles; we looked for them by voluntarily challenging ourselves. We eagerly tackled insurmountable odds — height, speed, lack of money — to make our desires reality. Using imagination, we climbed Mt. Everest, competed in the Super Bowl, rode wild horses, made a house out of a cardboard box, ran a restaurant. We voluntarily tested ourselves and accepted failure as part of play. We ran, stumbled and got up to run again. When something did not pan out as intended, we came up with a new solution until we were satisfied. When faced with an enemy or a new challenge — be it a competing team, a broken toy or our friend playing a cop to our robber, on ogre to our princess — we figured out how to win, remedy the malfunction or flee the imagined danger. Far from frivolous, childhood activities were constructive because they strengthened our resolve as well as our skills. Play gave us courage and instilled confidence. No doubt about it, play — board games, sports, pretending, arts and crafts, exploring and building — required us to invent, analyze, innovate, socialize, plan and problem solve. These are among the very same skills required for us at work. Why, then do play and work seem so contradictory? Why, as adults, do we relegate them to separate spheres, and why do so few workers and companies value play as a means to producing effective work? Perhaps it is because we are brought up to believe the two cannot coexist. Over time, our instinctual play behavior is slowly replaced by institutional processes and boundaries such as classes, test-taking and structured activities, like sports and music, that we practice rather than indulge in. By the time we enter the workplace, we have effectively relegated play to weekends and vacations. Worse still, competition and deadlines further stifle our ability to exercise many of the productive instincts that play stimulates, such as creativity and imagination. How sad is it that as adults we push play to the margins of our lives, forgetting that play is not frivolous at all, but highly productive. We do not have to live this way. Adult responsibilities do not mean there is no place for childlike joys. Delight and productivity can coexist, and it is possible to tap what I call the genius of youth so that the most engaging, most entertaining, and even educational aspects of play coexist with our labor. I heard it said that we don’t outgrow play, we only change what we call it. If playing capture the flag requires problem solving — “How can I outwit my opponent?” — then why don’t we view problem solving on the job — “How do I outsell my competition?” —as a form of play? After all, both activities engage the mind in similar challenges. I believe you can want to work just as you once wanted to play. The result: jobs that feel more like fun than drudgery, workplace satisfaction, increased employee retention, and ultimately, more innovative, successful companies. Play is not just about having fun; it is serious business. Spontaneous play and fantasy help children cope with life’s pressures and process negative emotions, such as fear, anger and even worry. ... Role-playing prepares us for real-life situations, allowing us to practice making decisions under pressure, lead a group and think abstractly. Research has shown that play — particularly unstructured, spontaneous games as opposed to scheduled activities like music lessons and football practices — is a powerful force in human development. Play experts such as the founder of The National Institute for Play, Stuart L. Brown; early childhood professor and author Vivian Gussin Paley; and Yale research scientist Dorothy G. Singerer believe that spontaneous play and fantasy help children cope with life’s pressures and process negative emotions, such as fear, anger and even worry. They have found that role-playing prepares us for real-life situations, allowing us to practice making decisions under pressure, lead a group and think abstractly. Group play teaches us to socialize and to cooperate. 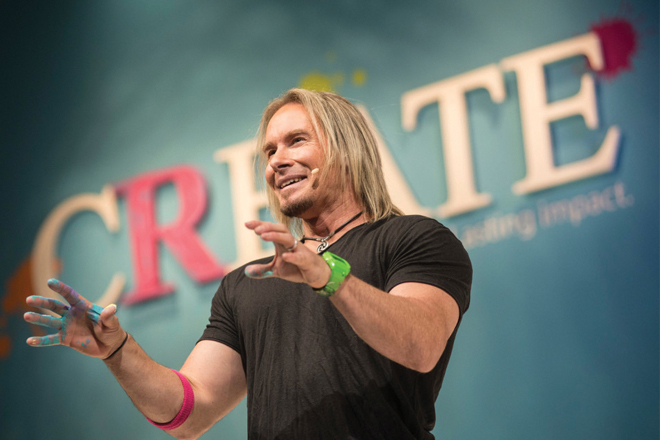 Play also gives us a chance to better know ourselves through self-evaluation and self-reflection, which are critical development tools according to Robert Heffer, a clinical psychologist with Texas A&M University. Play also encourages creativity, says Edgar Klugman, author of “Play, Policy and Practice”: “Good make-believers are often better at imagining things,” and good imagination is hardly reserved for childhood. Productive play has consequences, a specific outcome and goals other than pure pleasure. It has a specific purpose, such as producing a tangible thing, like a new and better widget, or playing tennis to win a tournament rather than just for fun. Although both types of play teach us valuable skills, productive play is the type we can easily weave into our work. I believe productive play can actually be the “work” itself.